GUERLAIN Jardins de Bagatelle, a romantic floral paradise. 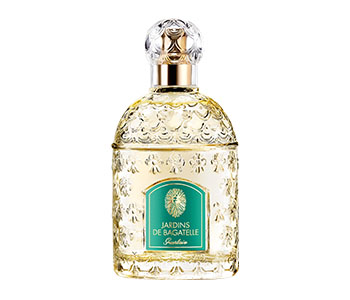 Audacious Jardins de Bagatelle is an airy and luminous essence, a sparkling perfume dedicated to joie de vivre. For women who are liberated and independent, who always perfume themselves for the pleasure of seduction as well as for their own pleasure and enjoyment. This garden is redolent with a multitude of white flowers, varieties of rose, hyacinths and tulips, daffodils and narcissus of exceptional luminosity, to the great delight of anyone who loves nature.